Proven for over 85 years, Milorganite is a slow-release fertilizer containing 4% iron to enhance the color of your turf. Grasses take up this iron, giving them a deep green color. 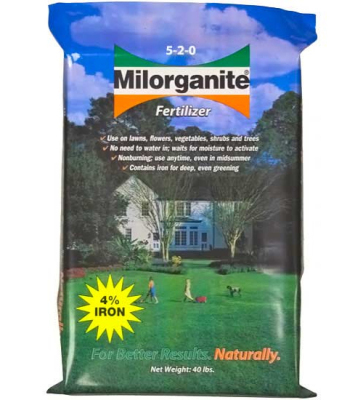 However, unlike high nitrogen fertilizers, iron does not make turf grow fast. The result is a lawn with the color you desire without excessive growth — and mowing! For the best part, this deep green color stays with the lawn through hot, dry summer months. Plus, because this iron is organically complex, it does not stain concrete, like your drives, patios, sidewalks or other areas. 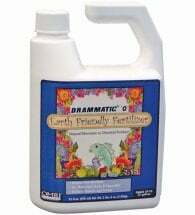 Ideal for trees, shrubs and ornamentals, too! Pelleted for easy application. Apply anytime of year for a lush, green lawn that’s easy to maintain. Each 36 lb bag covers 2,500 square feet. Will NOT burn, even in the hottest conditions. Avoid direct applications on steep slopes, in areas that flood, on wetlands or into surface water. 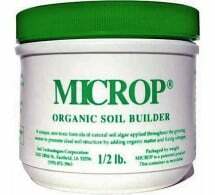 Ingredients: Biosolids (activated sewage sludge). 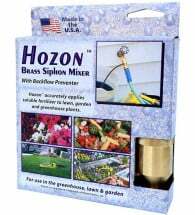 Research conducted at the University of Georgia suggests using this product to repel deer from gardens and ornamental plants. 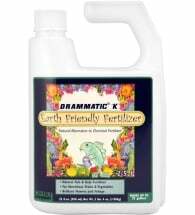 The study used an application rate of 1/2 cup per plant and proved it to be effective for up to 5 weeks!